How can I spend CGTrader Credits? 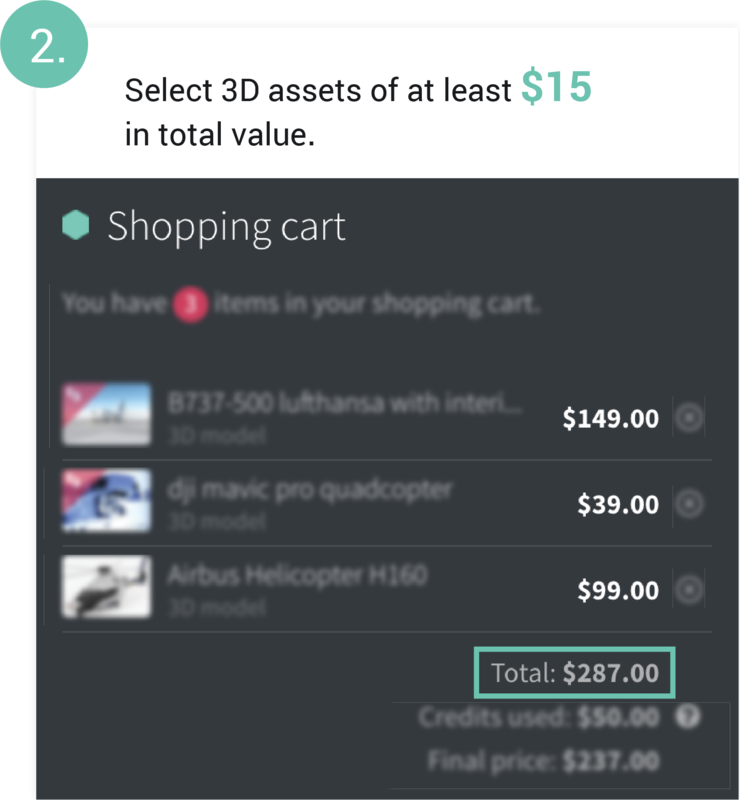 You can spend your shopping credits on 3D models on CGTrader marked with a piggy bank icon. 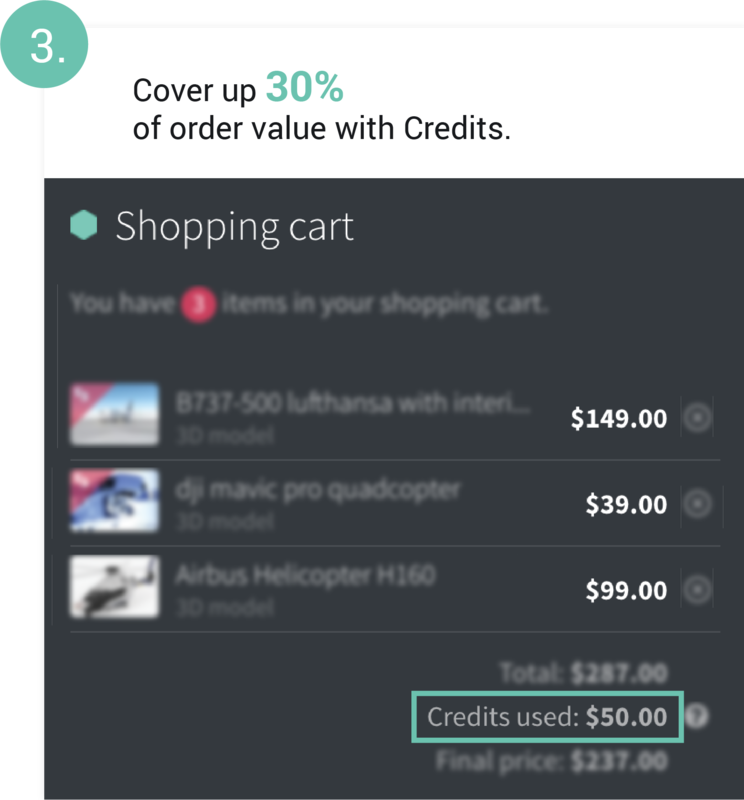 Credits will automatically cover up to 30% of the price of models in the program. Please note that not all models have discounts. Credits can only be used if the total value of your cart is equal to or greater than $15.